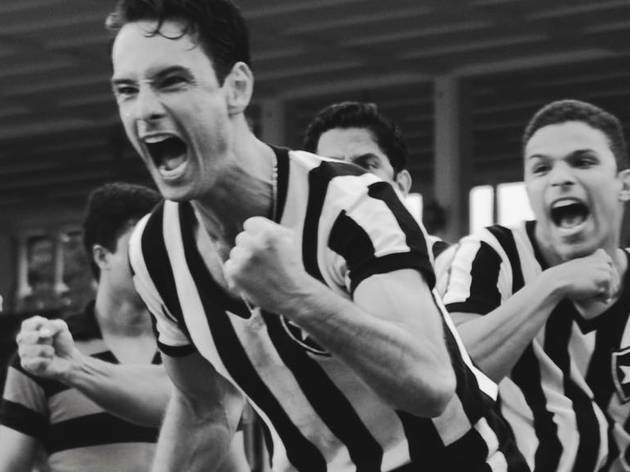 José Henrique Fonseca’s portrait of tempestuous Brazilian footballer Heleno de Freitas (Rodrigo Santoro) should be studied in film school—not as an exemplar but as a cautionary tale. From its flash-forward framing sequence to its glossy black and white images, the film emulates Raging Bull in nearly every particular, while failing to capture even a sliver of that tortured-soul sports-movie’s insight or visceral power. 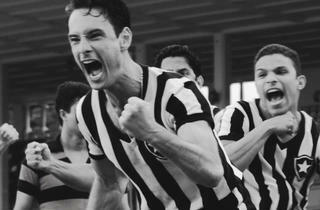 Although the newspaper clippings stuck to De Freitas’s wall attest to his erstwhile fame, Santoro’s soccer superstar comes off as a vainglorious boor, with little onscreen evidence of the skill that would have made him celebrated, or even tolerable.